I still have quite a few photos with my kids and wrestlers to be scrapped (+quite a lot of old LO´s to be posted) but I have not really found any inspiration for the photos I have left. Mostly its wrestlers/Divas who have left the WWE, or even passed away! So what does one do? I either start up with other projects, or fix new wrestlingphotos. I decided on the latter, or at least that was the plan when me and my son once again went to a wrestling-event in Barcelona Spain. This time we saw two shows and luckily enough for my scrapbooking career we met a bunch of the Superstars and one Diva. 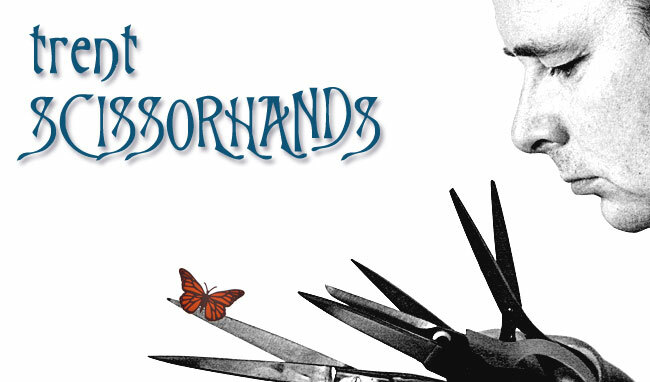 Now I have quite a few hours with my scissors and knifes in front of me and thats quite a comforting feeling. 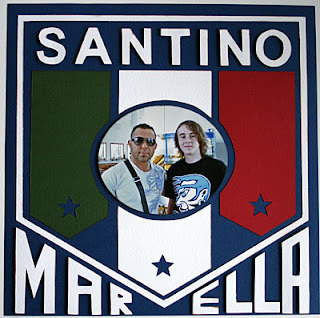 Here is the first LO I made from this years wrestlers, Santino Marella! For this one I have only used cardstock because I felt it was just the stuff for my LO-idea. I got the idea from one of Santinos T-shirts, I drew it, changed a bit here and there, cut out templates from my drawing, used the templates on CS and then cut out the different shapes. A little chalk, some 3d-cushions on the letters (that were a bit difficult to cut straight, both the Santino- and the Marella-parts) and the photograph and the LO was ready. I am more than happy with this one and currently working on my next Santino-LO, but this time, I will be on the photo as well! This is a great LO! I love how the letters "pop out" of the page, and it looks even better IRL. Looking forward to many hours together in the scrap room!